Darker than Black is an enigma. The more I watch it, the less I understand how I feel about it. I wanted to write an article extolling its virtues, for example its deep characters and beautiful art. Then I went back and re-watched season 1 and did a double take, was this the same show I remembered? It was like I was back in the 90s when it was okay for a main character to waste half an episode being introspective instead of advancing the plot. I’d still recommend that people watch it, but be aware that this isn’t the second coming of Cowboy Bebop. The show’s concept is similar to X-Men: a group of humans, called contractors, have gained super powers. But these powers come with a big drawback, called a price. The price forces a contractor to perform an obsessive compulsive behavior after using his power. The compulsions range from the bizarre (eating a flower), to the mundane (smoking a cigarette), to the truly gruesome (like breaking a finger). 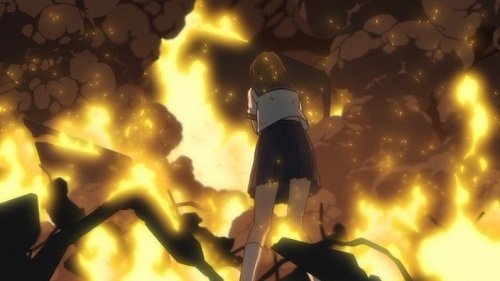 The show lasted two seasons (I’ll talk about season 2 in another post) with a short OVA to tie the two together. Of the two, the first is my favorite. It follows Hei who is part of a team of contractors employed by a criminal group called the Syndicate. The plot is structured in the same way as in Witch Hunter Robin, each episode has a separate story while simultaneously pushing a season long plot forward. The longer plot, which concerns the syndicate itself, is generally good, but sometimes over-complicates something that should be simple. The show’s plot is enjoyable, but I found it more rewarding to just focus on the characters and the action. One of my favorite parts of the show was an arc dedicated to Huang, Hei’s non-contractor crew boss. Huang is not a likable character; he’s grimy, has a wart on his nose and is prepared to kill his team members if the syndicate orders it. His flaws make the story about his relationship with, and eventual betrayal by, a contractor one of the most poignant parts of the show. The arc provided an interesting back story and convincingly explained Huang’s complicated feelings. 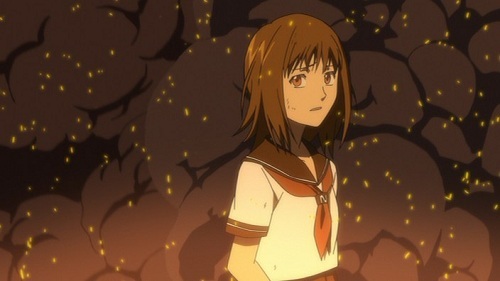 Too often side characters in anime shows just fill a stock role, here the side characters seem alive. The other notable part of Darker than Black is the action scenes. I thought the OVAs had the best and most exciting fights in the series (perhaps because of a higher budget?) but season 1 had at least one fight per episode. The contractor’s powers are vividly detailed, with ice effects, explosions and gun shots liberally applied. 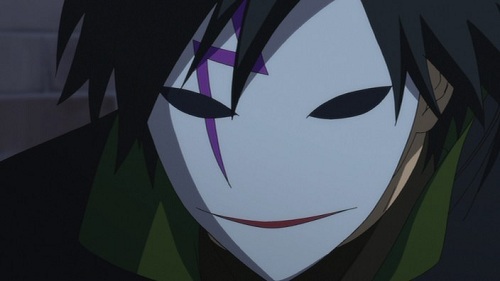 As much as I enjoyed Darker than Black it was not without flaws. Season 1 suffered from uneven pacing. Parts of it slowed down to a point where it was hard to keep watching. 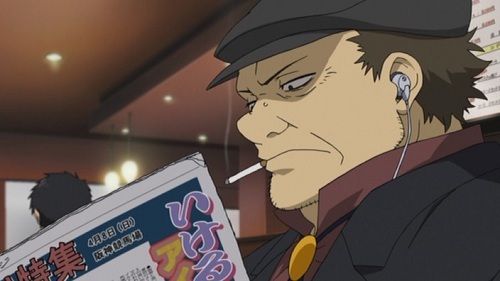 The scenes of Hei walking around his apartment and interacting with his neighbors were my least favorite part. 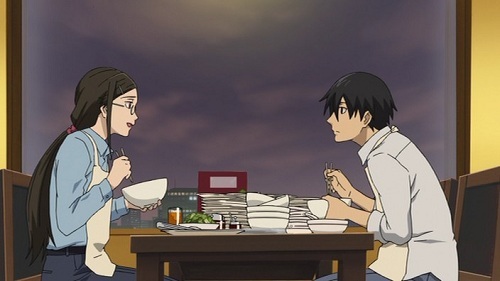 In these scenes Hei adopts a fake personality of a bumbling college student. His interactions with his neighbors are consequently all fake, and don’t give much insight into how Hei really feels. The last quarter of season 1 picks up considerably, with fewer useless scenes, but the first three quarters can be a tough slog at times. Whether the show is unique or whether it is a poor riff on shows like Cowboy Bebop, is perhaps the hardest part of the show’s legacy for me to evaluate. The two shows have a number of similarities, including similar plot structures. Both feature evil syndicates and follow teams that work outside the law. I think that Darker than Black had enough interesting elements, including the contractor’s powers and drawbacks, that make it worth watching. Given the lack of other recent shows about adults, I don’t think its inferiority to Cowboy Bebop should hold people back from enjoying it. Thanks, glad you liked it. I checked out the link, it’s looked like a good recap of the show. I wonder if they’ll put up some behind the scenes info at some point, seeing as they are the licensor.